This was truely an amazing male. His dam is our full Accoyo, Expresss's Accoyo Camille, one of our outstanding producers, and his sire was the Famous Full Accoyo, Accoyo America Centurion. Unfortunately, DiMaggio passed away shortly after he started his breeding career. Luckily, we got 2 females from this fabulous male. Quite simply stated, Jezibel was one very beautiful and majestic female. A daughter of Crescent Moon Ranch’s Accoyo Peruvian Legacy, and a grand daughter of the great Accoyo Don Julio. 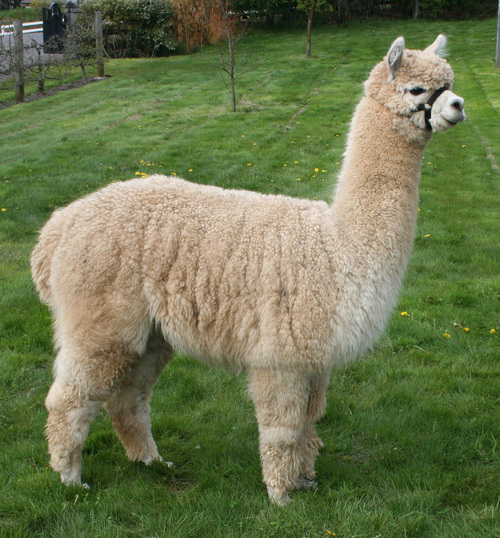 Jezibel was 3/4 Accoyo with significant color and magnificent fleece. Her medium fawn blanket displays excellent uniformity, a very high frequency crimp, fineness, and outstanding brightness. 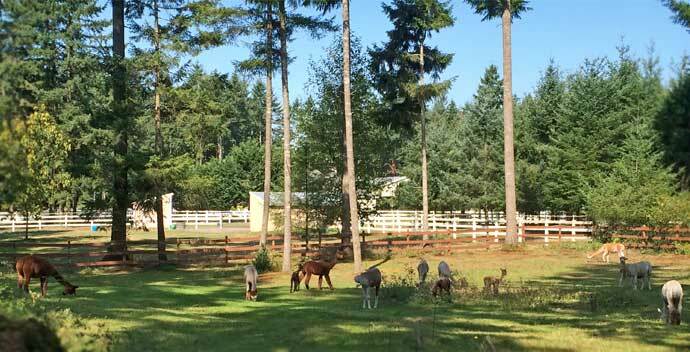 We feel lucky to have had Jezibel on our farm. 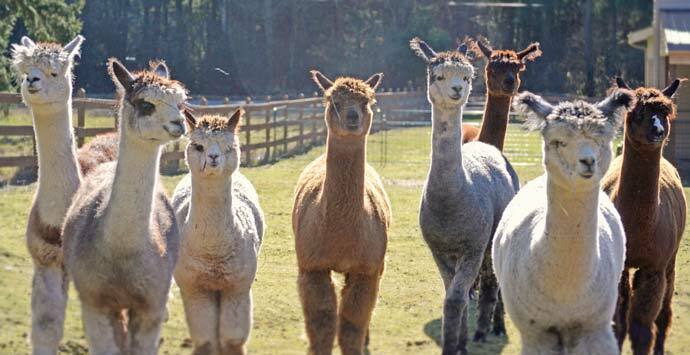 She produced a spectacular female Elite cria for us in 2006 and went on to produce more wonderful cria after that! Jezibel passed away in 2011. Silver Elation is a rare dilute silver gray with an incredibly soft, well bundled and consistent fleece without any spots. This male was born with a distinct Classic Silver Gray pattern which all but disappeared as his fiber dried. Every person who has seen him has been impressed by this amazing fleece that appears platinum in color with white in the neck, bib, face and legs. 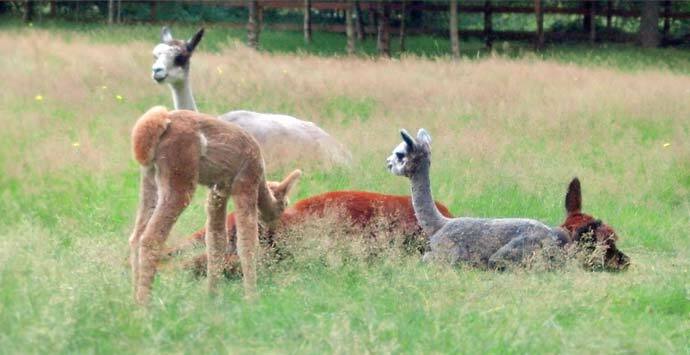 This season we got another amazing cria from Peaches, but light Fawn not Grey this time and a boy. However he is our last Enlightened offspring so a very special boy! 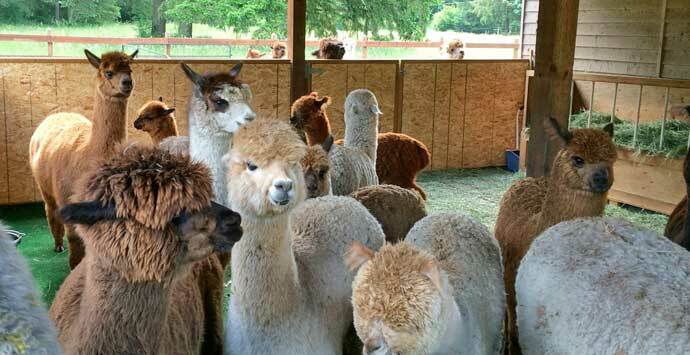 Now we have rebred Peaches to Silver Elation hoping for a repeat of her award winning 2015 cria, Nehalem. 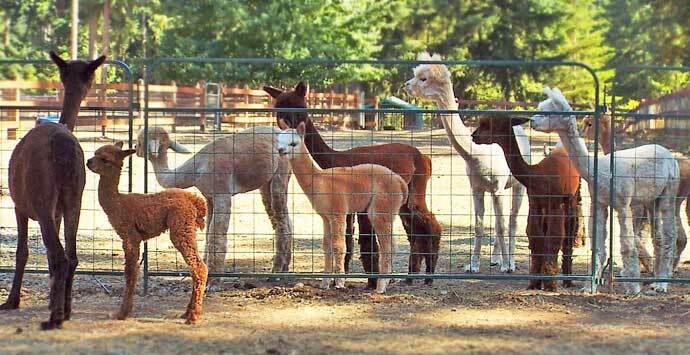 Peaches has free board until she weans her 2018 cria, or you can purchase him too for an extra $1000! SHE DID IT! 9/6/17 Peaches delivered an awesome Light Silver Grey Girl! 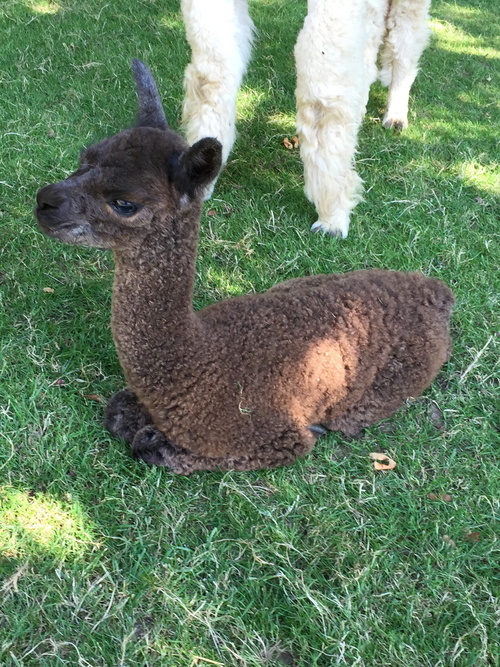 We are so happy about this cria, we will be keeping her and we rebred her to Enlightened for her 2018 cria. I'm hoping for a repeat! 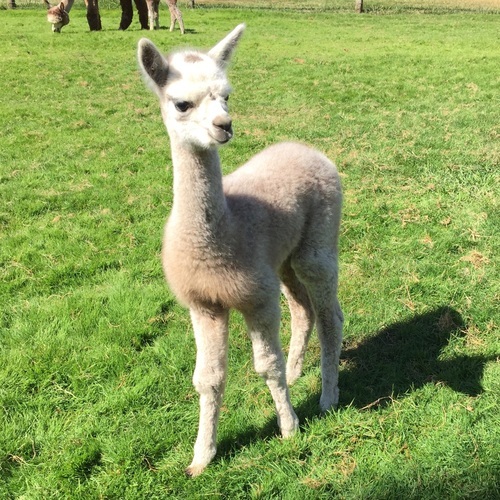 In 2015 Peaches delivered an amazing Modern Silver Grey male cria sired by ATV Silver Elation. 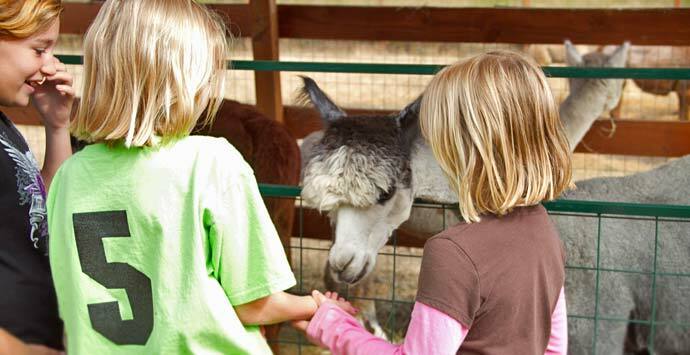 This boy, Skyline’s Nehalem, has awesome fleece and a great look! 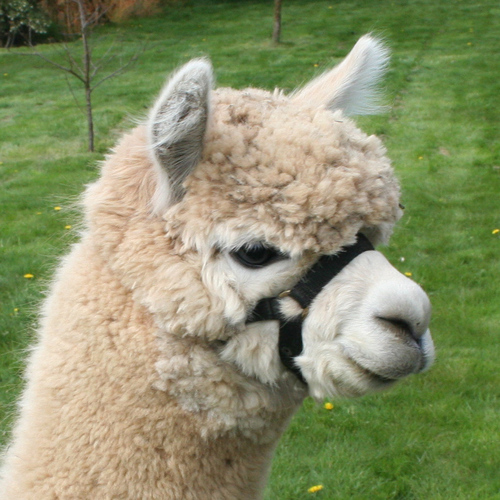 He sold in 2017 and went on to win his new owners a blue ribbon at the 2017 Alpacapalooza. His 2016 AFD was 16.4! Not a surprise given Peaches genetics. 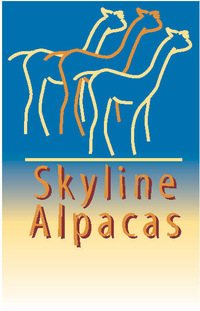 Skyline’s Peaches and Cream was one of those special cria that you just love. She is light fawn and has an impressive line-up of genetics. 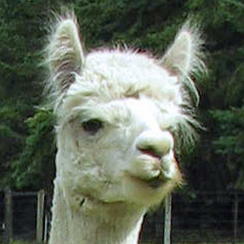 Her dam, Jezibel, was one of our outstanding Legacy daughters that produced amazing cria for us. Her sire was our Med. Fawn, Full Accoyo Centurion son, DiMaggio. Peaches became even more special to us as we lost both her parents, so she is one of a kind! 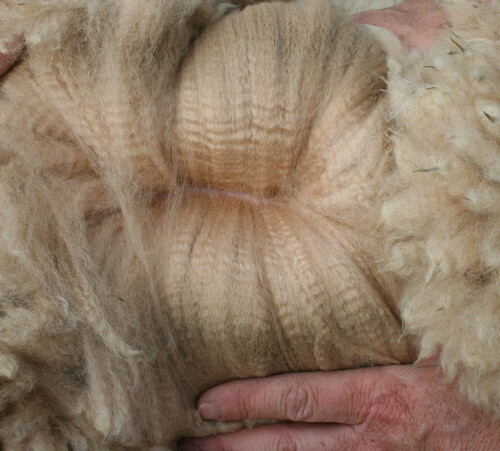 What we love about Peaches is her incredibly fine and bright fleece. Her 2011 AFD was 14.7 with an SD of 3.4. Also, it really is peach colored! Peaches is an excellent Mom, a total natural and so happy to have her own cria and no longer just the aunty! Peaches has a curious personality that makes you always notice her and it will be very hard to part with her but we need to reduce our number of females. •	Purchases $1,000 or under – CASH •	Purchases $1,001 to $2,000 – FINANCE TERMS available with 50% down, 6 monthly payments, at 0% interest. •	Purchases $2,001 to 10,000 – FINANCE TERMS available with 1/3 down, 12 monthly payments, at 0% interest. •	Purchases $10,001 or more – FINANCE TERMS available with 1/3 down, 24 monthly payments, at 0% interest.